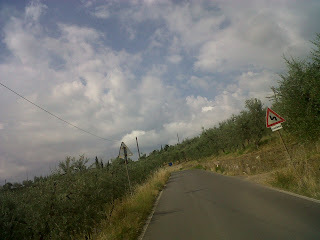 Veloce ® cycling and bike rental company : Transfer from Chianti to Amalfi coast. We have transferred our customers frm Valdichiana, the Chianti region between Arezzo and Florence, to our accommodation in the Amalfi coast. During the pick up of our customers I was very impressed, this area is full of olive groves and oil mills.